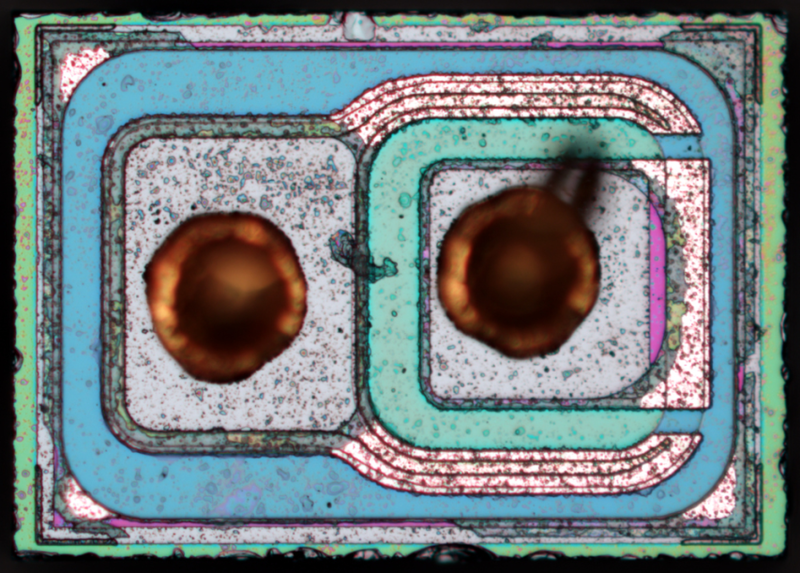 A die shot of the Infineon BC858C – NPN Transistor @Zeptobars « Adafruit Industries – Makers, hackers, artists, designers and engineers! Zeptobars posts another beautiful microscopic picture of a bipolar junction NPN transistor. If you like their pics, go to the website for more.